This was not a big year for me when it comes to the total of books I read. I normally try to set a goal of 100. I've been close once or twice over the years. I started my list-keeping in 2010. But in more recent years I have started documenting my favorite reads of each year, and so, this year - despite my falling short of even 40 titles - will be no exception. 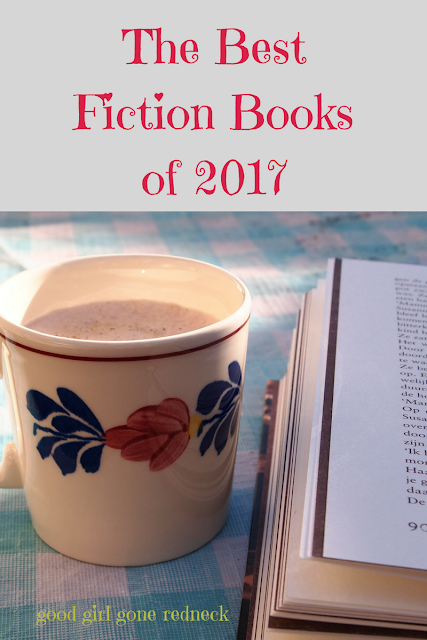 This list includes my favorite reads of the past year, but they're not in any actual order of expressed love. You can't go wrong, whichever you choose. 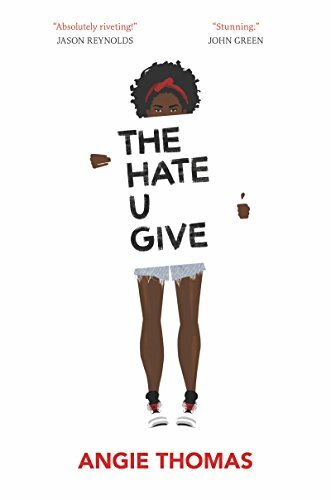 Not only is it one of my favorite 2017 books, but The Hate U Give is one of the best Young Adult novels I have ever read. Angie Thomas knocked it out of the park with this one. A story that could have all too easily come out of today's headlines - Thomas wrote of a young girl who watches a friend get gunned down for no reason at all. The feeling that she must keep quiet. The work it takes to hide the truth from her friends from school. The fear and the flashbacks. Starr lives in two worlds and is unsure of how to create an overlap where she and those she love can feel safe. Torn between a need to hide the truth from so many people, and the desire to raise her voice above the crowds, this 16-year-old girl is living a nightmare one cannot begin to imagine. But Thomas has enabled us to do just that. If you pick up one young adult book in your lifetime? Let it be this one. 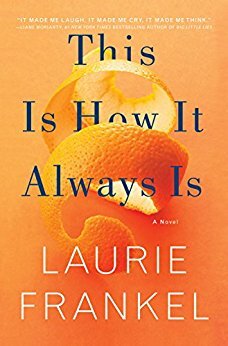 In This Is How It Always Is, Laurie Frankel has given us Claude, a 5-year-old boy who says that he wants to be a girl when he grows up. Claude loves wearing dresses and dreams of being a princess. Claude becomes the center of the family for a bit - which is, of course, the point of the story. Watching the parent characters come to terms with their child's needs, and watching them learn and grow and support Claude and their siblings, there is so so much to take in. This book is such a powerful read, to the point where I think everyone should read it. I can't explain with enough words as to why I think this - I just do. And that lack of ability to explain it further is exactly why I have not written a review for the book on its own. It's just that good. I have tried to pull all of the thoughts I have about it into a full post but I'm just not doing Frankel's work justice. So. Go get a copy of This Is How It Always Is. Now. I'd never read any of Pam Jenoff's books before reading The Orphan's Tale. I knew of her, I knew she wrote incredible historical fiction, and I knew I needed to read her work. So. The Orphan's Tale is where I began. Set in a traveling circus in Nazi Germany (yes, I know, I thought the same thing you're thinking now), we watch as the two primary female characters find their lives intertwined in such a way that we feel each emotion and we sense each fear. In today's world I find myself drawn into stories that reflect on a time when people of certain races or religions were persecuted for being who they were. I compare and contrast, this way of life, to the way we live today and what the future just might hold for us all. Such a powerful story. 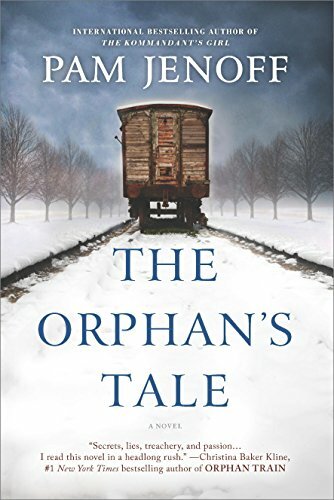 For more information, read my full review of The Orphan's Tale. Let's put this out there right away. If you know me, you know I don't really do trilogies or any sorts of book series reads. And yet. Here I am. Not only recommending Kerry Lonsdale's second book - but chomping at the bits to get my hands on book three, Everything We Give, which comes out in July. Part two of this series gave us more detail on how James has lived his life over recent years, and who he recognizes as family. We also walk through his memories of his life before the revelation at the end of book one. Honestly, I'm having some difficulties here as I'm trying not to give too much away in case you haven't yet read Everything We Keep. By the way, you can get all three books through Kindle Unlimited and read them for free. So - if you haven't yet? Get to it. It's worth it. And if you have read book one? Get book two, friends. I mean, Everything We Left Behind brings Aimee back and we get to learn more about her relationship with James, what happened with his brother and his 'cousin' and all the Donato family secrets. Everything You Want Me To Be was one of the best thrillers I read over the past year. And as anyone can guess, I've read a good few. but this one - it stuck with me in a way like none of the others. This isn't the first time I have included the book on one of my lists. 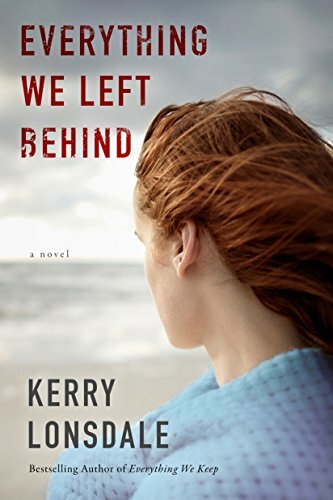 It's on my Must Read Psychological Thrillers list. And it's on my 12 Books To Read in Early 2017 list, too. Hattie is a young girl we only get to know after she's gone. But the unraveling of her life, her relationships, and, ultimately, her death draw us in until we think we know what happened and then realize we - like the people in her life - may not really know Hattie at all. This book put Mejia on my radar and I can't wait to see what she comes out with next.